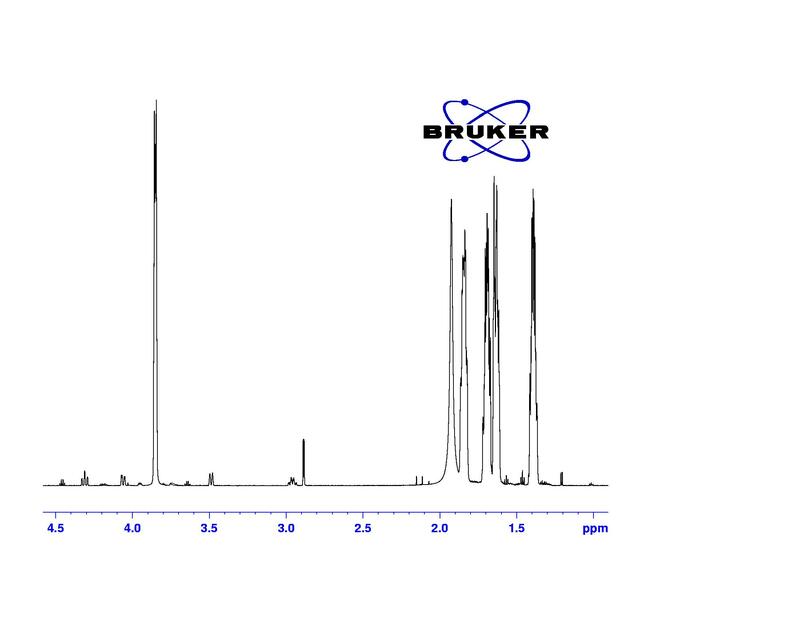 I'm going to finish my repport for the school in a very few days, but I just can't finde a 1H-NMR-spektra for the molecyle cis-1,2-cyclohexandiol (CAS: 1792-81-0). Are any of you able to do that ? Maybe finding a link or something like that? Here is the 1H sepctrum and a HSQC. Right click and view image for better resolution. If you want the data let me know. 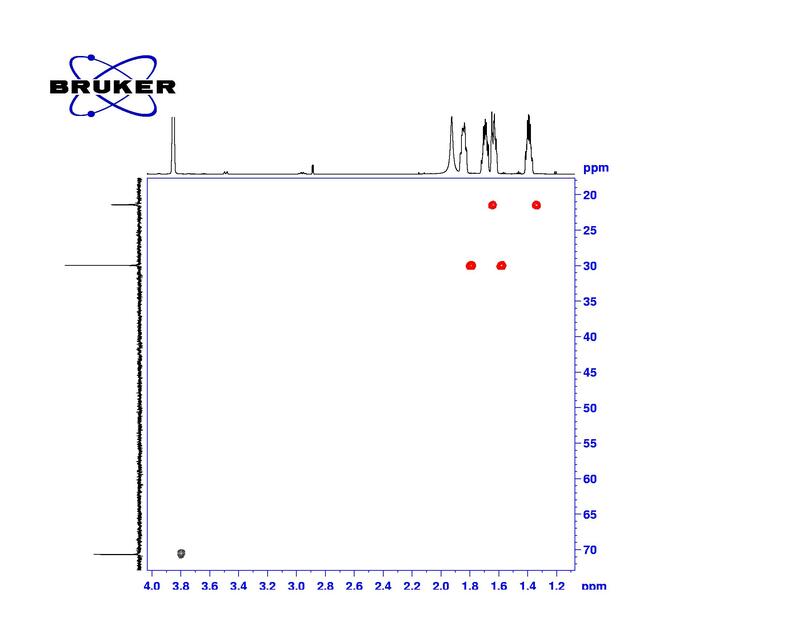 Hello, a Japanese spectra database for organic molecules SDBS has a 13C spectrum and some other data, but not a proton spectrum. Things like these are best found in specialized databases like "scifinder" which are not free, but many Universities with chemistry departments have access. Also there is Beilstein index and Aldrich Database of Spectral Data these should be available in all university libraries. You can use Sigma-Aldrich online catalog to link CAS number with Beilstein. ACD iLAB allows free trial subscription and may have the data you are looking for.